Virginia's northern Piedmont is a rolling, open, well-watered region of farms and scattered villages and towns. It occupies the land between two principal Civil War battlegrounds: the Shenandoah Valley and the Washington - Fredericksburg - Richmond axis. In the northernmost part of the Piedmont, John S. Mosby's Rangers (43d Battalion, Partisan Rangers) harried the Union army. Organized by Mosby late in 1862, the Rangers operated successfully until the end of the war and Mosby was mentioned more often by name in Lee's reports than any other Confederate officer. 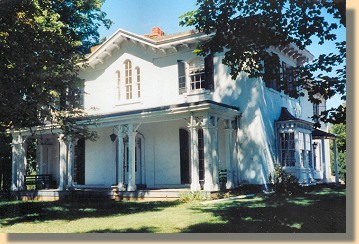 Mosby's Home in Warrenton, Virginia, 1867 to 1876. Although they never numbered more than 800, the Rangers were effective against their vastly more numerous foes because Mosby maintained tight discipline and struck quickly when the odds favored him. Grant became so annoyed by their tactics that he ordered captured Rangers hanged without trial. 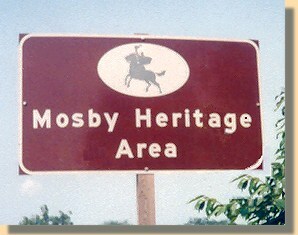 When Mosby immediately retaliated in kind with captured Federals, Grant rescinded the order. 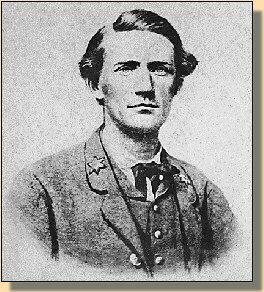 Rather than surrender his men, Mosby disbanded the Rangers at Salem (now Marshall, Va), in the heart of his Confederacy, on April 21, 1865.